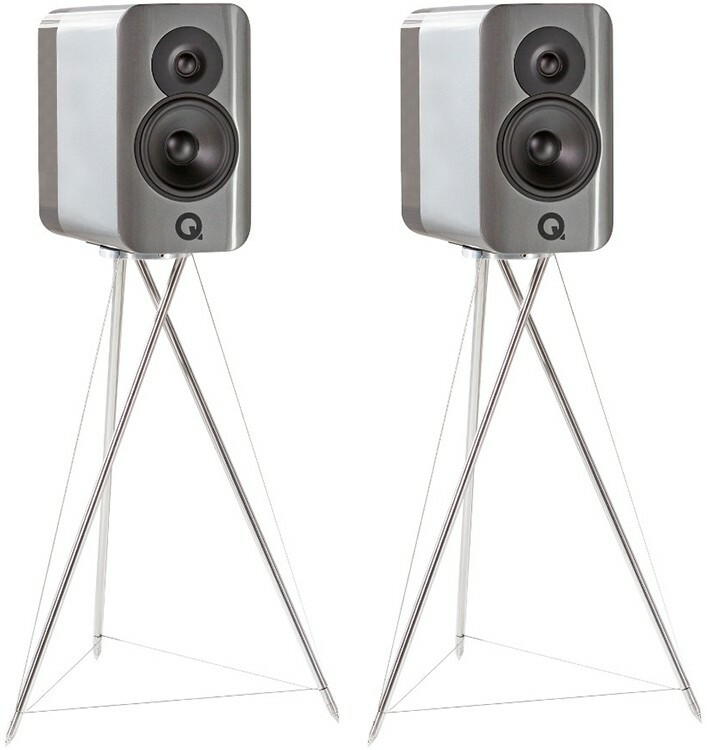 Q Acoustics Concept 300 flagship standmount speakers supplied with meticulous Tensegrity stand is a combination of rigorous engineering, unyeilding industrial design and ambitious aesthetics for the most fully realised loudspeaker Q Acoustics has yet delivered. 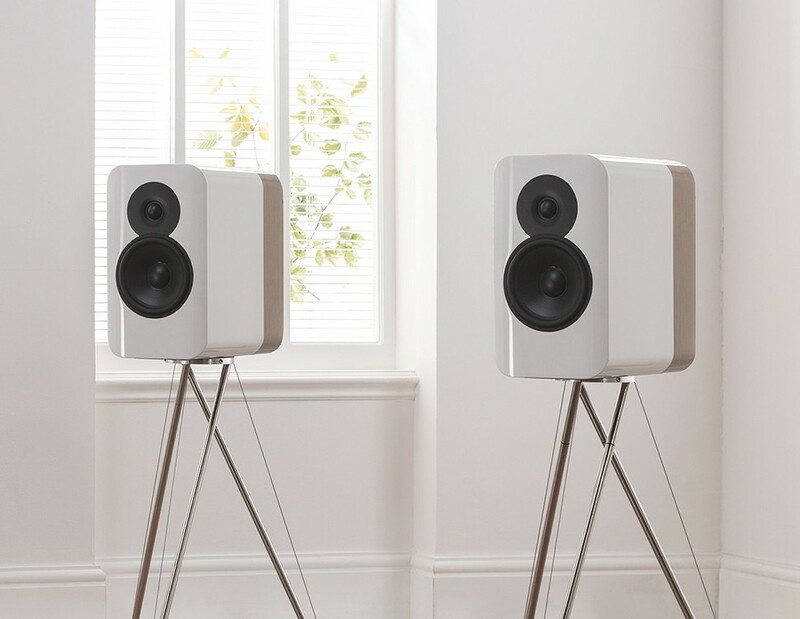 Q Acoustics has a reputation for designing, engineering and manufacturing revolutionary, high-performance and top-class loudspeakers at every price. This continuing demonstration of excellence led to Concept 300, designed to be simple yet staggeringly aspirational. Building on the success of the floorstanding Concept 500, 300 delivers a standmount alternative that’s more affordable, entirely uncompromised and sleekly understated. Concept 300 is designed as a premium, high-performance loudspeaker that’s inconspicuously sophisticated and seamlessly blends with your interior design. Several lacquer coats afford a high-quality gloss finish which is merged with real-wood veneers. This results in a cabinet that is simultaneously clean and understated with high perceived value. The neat look is reinforced by innovative drive unit mounting. The tweeter and mid/bass driver are attached by robust spring-tensioned retaining bolts with no exposed bolt-heads on the facsia. At the rear, Concept 300 has a full-featured terminal panel that is vibration-resistant and equipped for bi-wiring (or bi-amping) via electrically isolated terminals which support bare wire, spade connectors or 4mm banana plugs. While it’s not possible to completely eliminate unwanted vibrations from a cabinet, Concept 300 keeps these to an absolute minimum to acheive entirely uncorrupted sound. MDF is employed instead of more aesthetically pleasing or expensive alternatives to produce the cabinet. Alternative materials do not benefit damping, ease and simplicity of build over MDF and more expensive materials augment the price for no audio gain. The intelligence of Concept 300 is evident in its use of P2P (point to point) bracing. Q Acoustics monitors the performance of the enclosure at a microscopic level and realises the exact positions that need support. 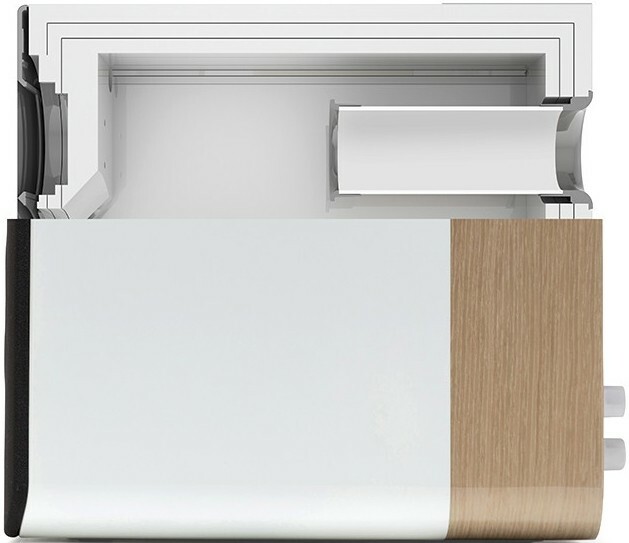 The P2P aimed cabinet-bracing provides the cabinet with precisely the support it needs; a long and immersive analysis for a simple and exceptionally effective solution. 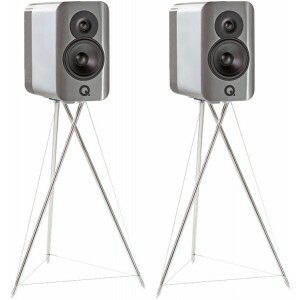 Q Acoustics prevents higher-frequency cabinet vibrations through bespoke Dual Gelcore technology. The Concept 300 cabinet consists of three layers isolated by a non-setting gel functioning like a high-tech and very effective gasket. Any random high-frequency vibrations turned into heat that dissipates in the gel. Concept 300's connection to the stand is fundamental and the Tensegrity stand with its isolation base suspension system, redefines the standard of performance that’s possible from a more compact loudspeaker. 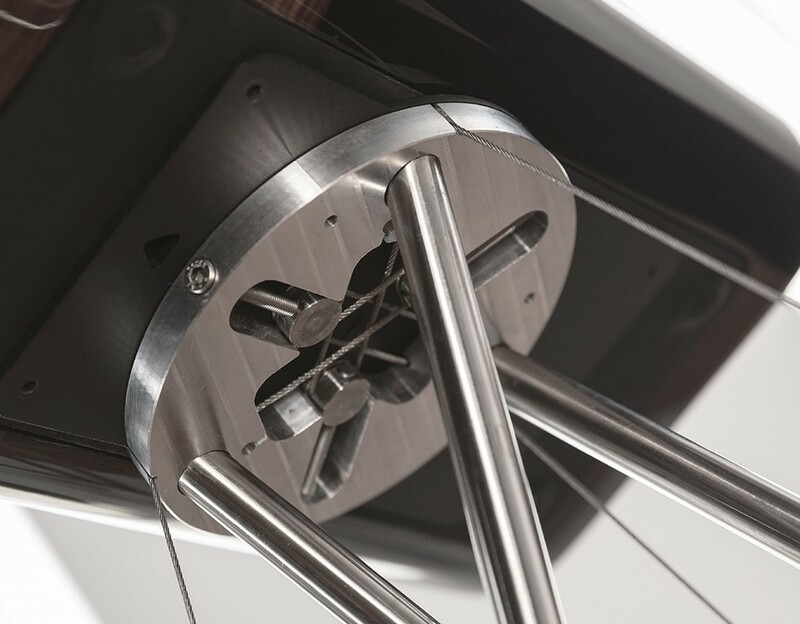 Tensegrity is an extremely stable tripod structure constructed from load-bearing lightweight aluminium tubes and thin stainless steel cables to retain their position. The result is a light, rigid and independent structure with a low surface area and elegant appearance. 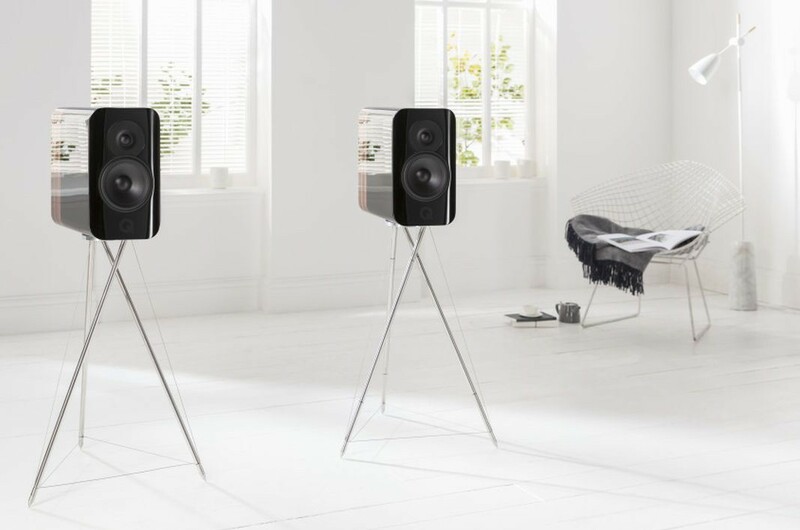 The total weight of Concept 300 is supported on the four springs of the innovative integrated base plate which prevents energy from the speaker leaking into the stand, vibrations from the floor moving up to the speaker, and provides a rigid coupling between the two. Thanks to the fusion of Tensegrity stand and isolation base suspension, Concept 300 is completely unfased by inner or outter influences. Q Acoustics' acclaimed driver technology from the Concept 500 is enhanced to perfectly suit the Concept 300’s smaller cabinet. The mid/bass driver is a 165mm coated paper cone with ultra low resonance due to its high-performance rubber surround. Located in front of a huge 35mm glass fibre voice coil and ferrite magnet providing a midrange and bass response that’s as punchy and powerful as it is poised and eloquent. The 28mm high-frequency driver, constructed from ultra-fine strands of coated microfibre, is decoupled from the cabinet using a rubber gasket. The tweeter is prevented from transmitting unwanted vibrations and allows mounting close to the mid-bass driver consequently improving integration with the bigger driver. The discrete horn-shaped profile to the front plate enables perfect impedance-matching to its environment without colouring performance.